About / Description: Welcome to Coral Ridge, one of Fort Lauderdale’s oldest neighborhoods, with a homeowner’s associations that was founded in 1949. Coral Ridge covers an area of Eastern Ft. Lauderdale from East Sunrise Blvd., north to East Oakland Park Blvd., and from the Intercoastal Waterway, west, to the Middle River. Coral Ridge consists of roughly 1350 single family homes with several duplexes, condominiums, and town houses.The average age of the Coral Ridge resident has slowly but surely been dropping as more and more families arrive to bring their children to one of the many superb schools nearby. The public elementary school, Bayview, is one of the best in Broward County. There are several private schools nearby that parents from all over South Florida enroll their children in.This elite neighborhood is surrounded by businesses. To the North is the Coral Ridge Mall, with Publix and Target as the two major stores. To the South is the Galleria Mall, with Macey’s, Neman Marcus, Dillards, Saks, and many more.Coral Ridge has a great small boat launching site at George English Park, one of Fort Lauderdale’s many fine parks. The great Fort Lauderdale Beach on the Atlantic Ocean is a five to ten minute drive from any home in this neighborhood. Coral Ridge is the docking site for the great Coral Ridge Yacht Club and is just a chip and a putt away from the Coral Ridge Country Club Estates’ Golf Club, the closest golf course to the Atlantic Ocean in Broward County.The Coral Ridge Neighborhood has a Board of Governors that are elected by the members of the Coral Ridge Association. This Board represents everyone who lives here, to the City and all other Neighborhood Associations in Ft. Lauderdale. 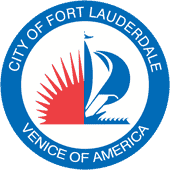 It is made up of 17 people who live in Coral Ridge, and attempts to make sure that everyone can participate with the concerns of this part of Fort Lauderdale.The Coral Ridge Neighborhood has its own newsletter that is hand delivered to all residents and now maintains its own website as well. You can visit this website at: http://coralridgeassociation.org for pictures and last minute information that may not be on the latest newsletter.